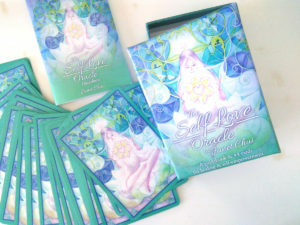 Since creating the Self-Love Oracle, I've been providing free weekly forecasts and inspiration online.This oracle doesn't just feature my artwork from the last 15 years, but the messages on the cards came from difficult challenges and experiences (some that can be called spiritual). It remains gratifying to hear how others have come to use the cards for uplifting and empowering advice.I love using my mailing list to share more. You get more on my mailing list. I put a lot online, but my subscribers really get the peek behind the curtain. I don't just put out art and energy forecasts, I want to help others get in touch with their creative and intuitive gifts, and get them out there. It's not all serious, really! Get the rest of the series when you subscribe! 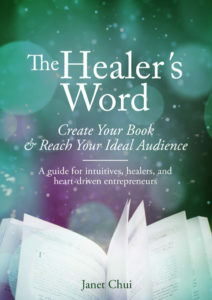 Get your free e-book when you subscribe!